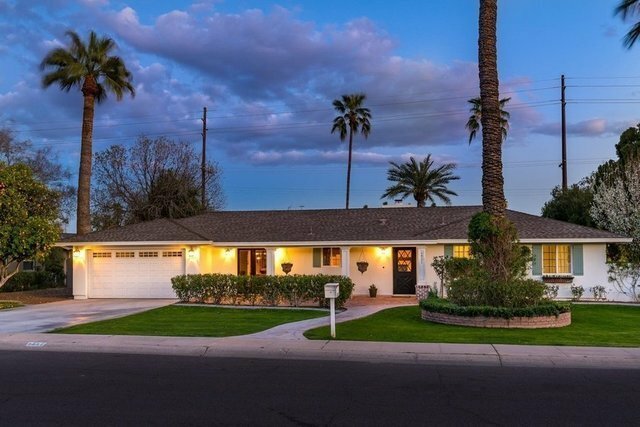 Meticulously and completely renovated by K2 Signature Homes, this Arcadia Ranch exudes charm and comfort. Entertainment flows effortlessly with great room floor plan, oversized kitchen island and indoor outdoor living. European Oak floors and custom lighting throughout grace this jewel box of a home. Oversized split master suite with seating areas, stunning master bath and ample walk in closet. Private office or bonus room off of great room. Double French doors lead out to covered patio with misters, pool and grilling area all flanked by an expansive green lawn. Enchanting side yard features fire pit and tranquil water feature. Desirable location allows for a 5 minute canal stroll to an abundance of shopping and restaurants.